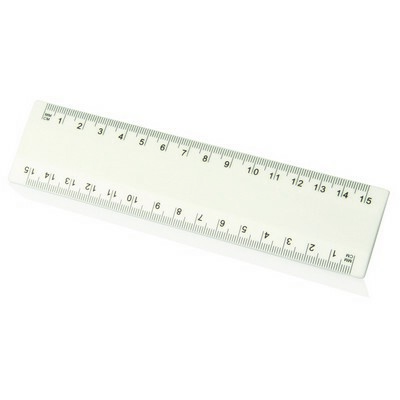 Description: Rule the line between good and great promoting and then cross it with this 15 centimetre ruler. With a slim and simple, yet eye-catching design you`ll be sure to have your client`s logo where it needs to be, in the hands and desks of their target audience. Colours: White. Materials: Plastic. Decoration Method: Pad Print, Digital Print. Price includes : Printed - 1 col, 1 pos. Setup is included.